We have recently been subjected to a variety of prominent Israelis publicly besmirching their country in order to promote their personal agendas or compensate for their frustrations. However we fail to appreciate the extent to which these ravings damage our global standing and embolden those seeking Israel’s destruction. The most recent outbursts on display at the Jerusalem Post Conference in New York in which I participated, received massive global media coverage and were attended by over 1200 participants from throughout North America. Most attendees expected to hear reports relating to Israel’s current situation but were thoroughly bewildered when the former Israeli Prime Minister and the retired head of Mossad expressed views which were more in synch with J Street and the marginal left wing liberals. I was not on the panel in which these statements were uttered. Had I been, this is what I would have sought to convey. Israel is currently confronting the greatest challenges since 1948. We face existential threats from a potentially nuclear Iran which publicly proclaims its determination to wipe us off the map. The extremist Islamic revival in the Arab world raises doubts whether we will be retaining our tenuous peaceful relations with the purportedly moderate neighboring states. Other than in the US, Canada and Australia, our standing in the world has been undermined by virulent Islamic and indigenous anti-Semitic campaigns of demonization and delegitimization. 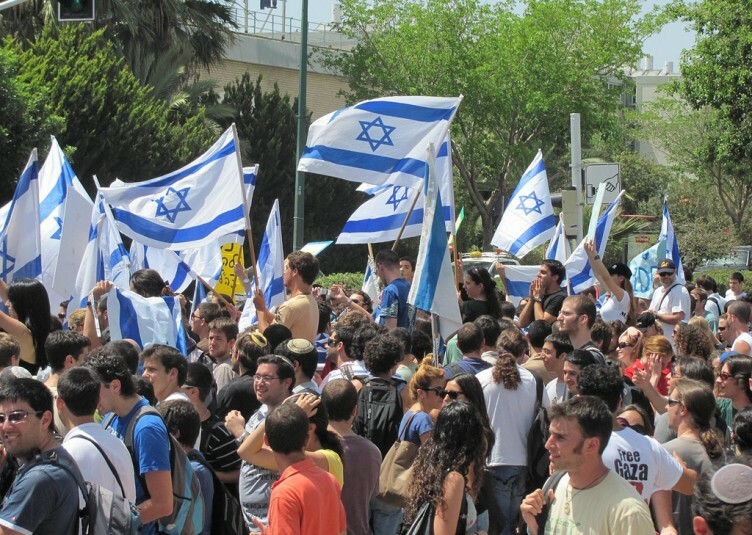 Clearly, now is the time for unity and for responsible Israelis to exercise restraint and avoid offensive hyperbole when criticizing their government, especially when abroad. Yet ironically, precisely when rank and file Israelis display a greater consensus towards the security policies of the government since the great divide over the Oslo Accords, former Prime Minister Ehud Olmert in New York indulged in historical revisionism, implying that had he remained in office we would already be at peace with the Palestinians, apportioning blame on the Israeli government for failing to achieve peace and hailing the duplicitous and intransigent PA Chairman Mahmoud Abbas as a genuine peace partner. He omitted to mention that he negotiated with the Palestinians behind closed doors without the approval of his cabinet, the government or the Knesset and that despite his offer to return to the indefensible 1949 armistice lines, accepting some refugees and having had the gall to offer to forgo Israel’s control of the Temple Mount, Abbas still turned him down and did not even bother to make a counter offer. He accused his own Ministers of having discouraged Abbas from accepting his offer. It was not a pleasant spectacle to witness a discredited former Israeli Prime Minister heckled and booed by an American Jewish audience. But Olmert had only himself to blame for this. Regrettably, in the current jungle of Israeli politics, anything goes. 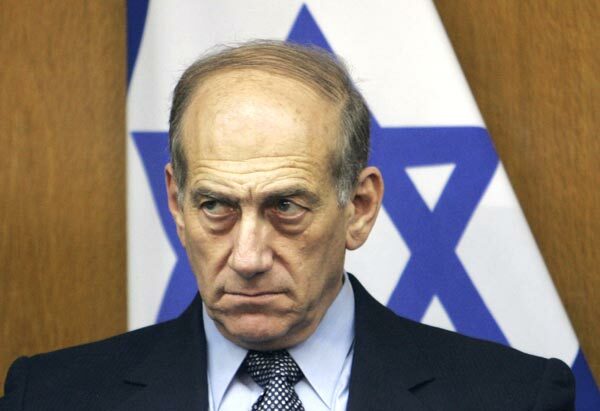 Olmert subsequently told the New York Times that Netanyahu “was disrespectful of America”, that “America is not a client state of Israel” and should not be perceived as if it “obeyed orders from Jerusalem”. To make such statements which will undoubtedly be exploited by anti-Semites, exemplifies the depths to which former PM Olmert has sunk. Could one imagine former President Bush, whose country is not under existential threat, speaking in such disparaging terms in relation to the policies of his successor? Had he done so, most Americans would have been outraged. There was no doubt that Olmert had lost the plot following his CNN interview in which he made the bizarre assertion that a US right wing conspiracy had led to his political downfall. In what sounded like an adaptation of the Protocols of the Elders of Zion, he claimed that it was “millions and millions of dollars transferred from the US by figures from the extreme right wing” which toppled his government and thwarted his attempt to achieve a lasting peace. Equally appalling were the outbursts from former Mossad chief, Meir Dagan, who, displaying contempt for the sensitive position he had occupied only a year earlier, launched a vitriolic campaign besmirching Prime Minister Netanyahu and challenging his motives in relation to the Iranian nuclear threat. 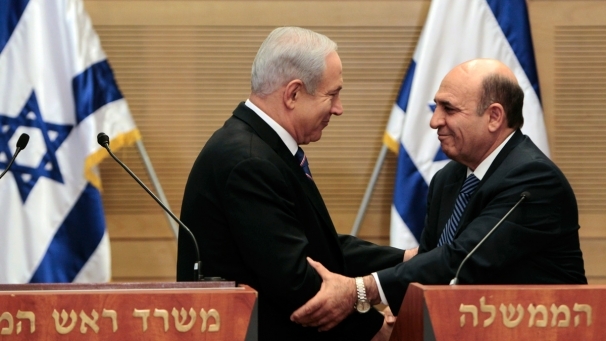 A week earlier in Israel, Yuval Diskin, the outgoing head of the Shin Bet, hysterically questioned the sanity of our Prime Minister and Defense Minister Barak and denounced them for being “messianic” and “appealing to the idiot public”. There may be legitimate grounds for different opinions concerning the timing and employment of military force against Iran. But such matters are not determined by the uninformed public and we must rely on our elected leaders operating with the sanction of a responsible government-appointed security committee to make the final decision. That is why many of us not privy to the intelligence required for making a balanced judgment have avoided debating the issue. Surely we are entitled to expect former intelligence officers who dissent from government policies, to conduct themselves in a sober and responsible manner even if they harbor animus against Netanyahu for having failed to grant their personal requests whilst in office. And above all, to avoid undermining the Israeli government’s efforts to strengthen global sanctions in order to obviate the need for military action. Could one visualize the retired head of MI5 or CIA warning the public that their national leader was a deranged Dr. Strangelove unfit to lead the country? Would such behavior by a retired intelligence chief be tolerated in any normal democracy? To exacerbate the situation, at the Jerusalem Post Conference, Dagan justified Diskin’s outbursts as “serious” and legitimate manifestations of freedom of expression. After publicly calling Likud Environment Minister Gilad Erdan a “liar”, he warned the stunned audience that Erdan’s suggestion that upon retirement, intelligence chiefs be prohibited from making public statements for a limited time was paving the way for a Nazi state. One can easily visualize how the Iranians and Islamic extremists observing such grotesque behavior can mistakenly conclude that Israelis are self-destructing. In a normal Western democratic country, the responsible media would condemn and effectively marginalize former political leaders or officials making such inflammatory remarks. Alas, in Israel, much of the media thrive on such outbursts and it is thus hardly surprising that we continue to fail so abysmally in the war of ideas. This issue has no bearing on freedom of expression. We can take pride in the fact that despite the external threats confronting us, we remain a feisty democracy. And the forthcoming elections are likely to demonstrate that the vast majority of the nation supports the security policy of this government including its strategy regarding the Palestinians and Iran. In any healthy society there are certain conventions to which those engaged in public life are obliged to adhere. When abroad, politicians and public officials should be emphasizing the issues we hold in common rather than conveying divisive and destructive messages. Israel displays a lack of civic responsibility when people like former Prime Minister Olmert or retired heads of Intelligence uninhibitedly promote their personal agendas outside this country in a manner which jeopardizes our future well-being by minimizing the threats confronting us. The damage such behavior inflicts on our global status cannot be underestimated.